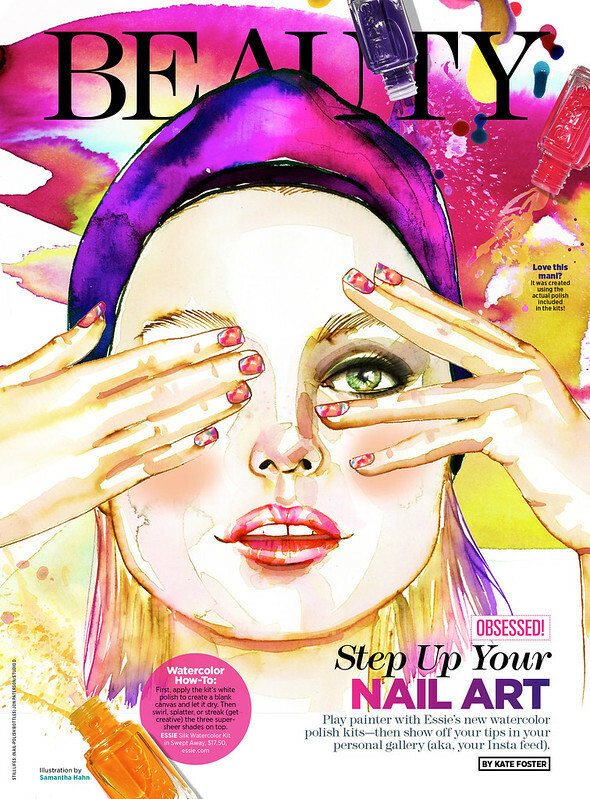 I loved working on the Beauty opener for Seventeen Magazine‘s March issue. I was going for a mix between a 60’s and 80’s illustration vibe. I got to use Essie‘s newest polish, aptly called watercolors. All of those drips you see and her nails are actual polish. I love working with Seventeen, they always give fun projects and this one was no exception.